These flip glasses have sun-blocking, glare-blocking lenses that flip down over regular eyewear—so you won't have to keep switching specs! Simply flip lenses up when not in use, and skip the hassle of pushing sunglasses on your head, carrying a pair in your pocket, or spending a fortune on prescription sunglasses. 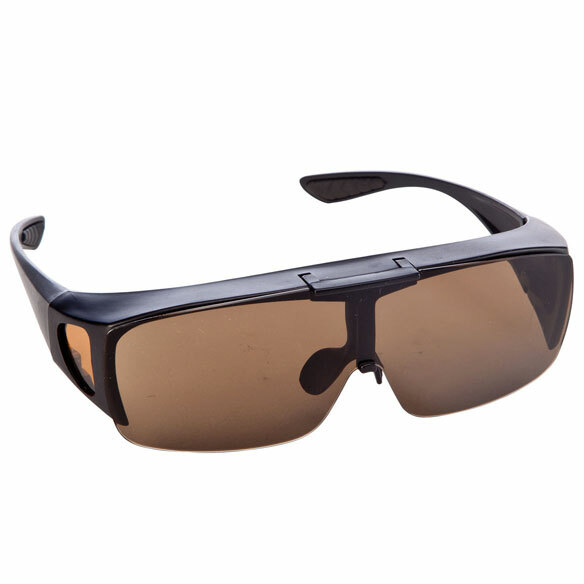 High-definition flip shades lenses enhance color and clarity, providing UVA/UVB protection by day or reducing headlight glare while driving at night. 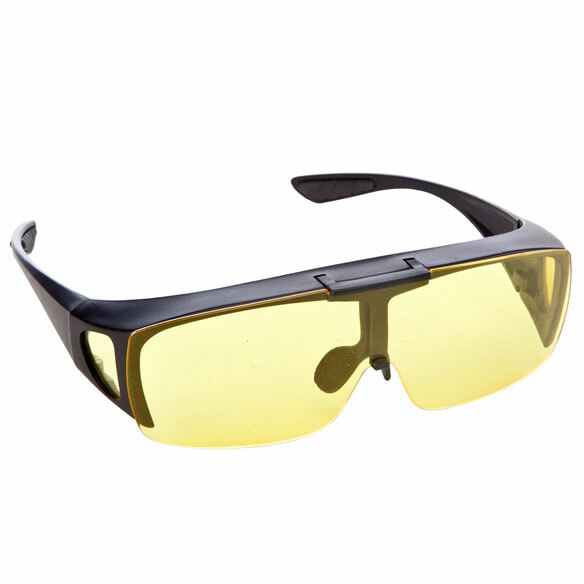 Choose from clear or brown sunglasses for daytime use or yellow-tinted glasses for enhanced nighttime driving. 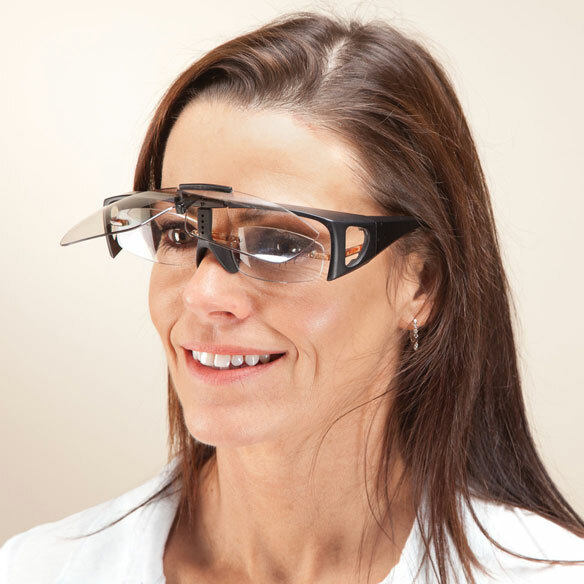 Flip sunglasses provide full wrap-around protection, fitting comfortably over most eyeglasses. We do alot of work around the house and needed some safety glasses that worked. These glasses do not fog up, fit over our regular glasses and flip up nicely. 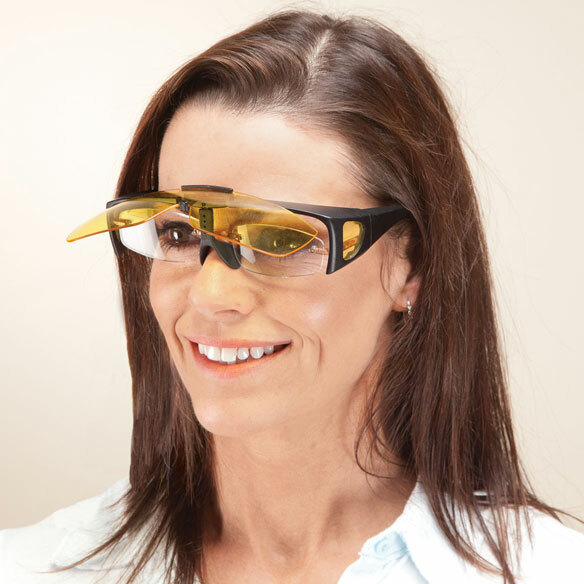 I have been looking for night driving glasses that fit over mine. I don't wear sunglasses because I seldom go outside, BUT I just got a mobility scooter and hope to ride around the neighborhood (with my dog IF he likes it). My husband had cataract surgery and has a hard time driving at night and theses glasses really helps him drive at night. 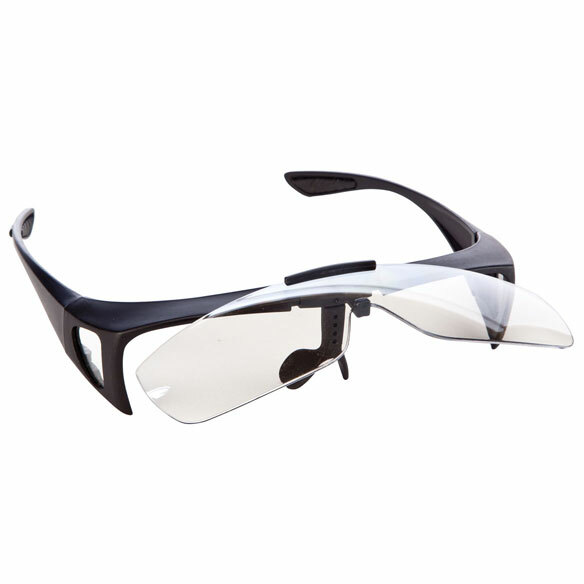 hope these will lessen the sun/day light glare without my having to change back and forth to my regular glasses. I just ordered them. I have no clue if I will like them but I ordered them because I need wraparounds for my prescription lenses and don't want to have to keep taking on and off when I go from outside to inside to shop. We will see.